Barenbrug Green Velvet "The All Rounder"
Multipurpose, everyday grass seed that will deliver a lawned area for the rough & tumble of regular heavy use while giving a quality & attractive appearance. The special blend of perennial ryegrass and strong creeping red fescue have been selected for fast establishment, natural vitality and toughness to produce a hard wearing lawn that is beautiful to look at and able to cope with everyday family use. Barenbrug Green Velvet "The Perfectionist"
A fine and luxury traditional grass seed mixture delivering a superior, quality result for a lawn with a wow factor. Ideal for traditional ornamental lawn. 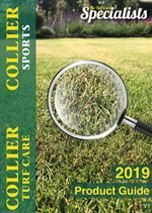 'The All Rounder' - A great multi-purpose, everyday grass seed that will deliver a lawn for the rough and tumble of family use while giving a quality and attractive appearance. 'The Perfectionist' - A fine and luxury traditional lawn grass seed mixture delivering a superior, quality result for a lawn with a WOW factor. 'The Shady One' - A high quality grass seed mixture that is specifically formulated to create an excellent lawn in shady places.